This tutorial was written by Jenny on 12-20-2010. Resemblance to any other tutorial is purely coincidental and unintentional. I am using the artwork of David DiTullio. You need a license to use his artwork. I have a license through MyTagArt. Open new canvas 650 x 550 flood fill white. New raster layer, select with magic wand, copy & paste paper2 into selection, select none, apply mask, duplicate. Copy & Paste frame6 as a new layer, resize 80%, add drop shadow. Copy & Paste image of choice as a new layer, resize if needed, use the selection tool to remove any excess from the frame. Copy & Paste wreath as a new layer, move below framed image, resize to your liking, place in the upper right corner. 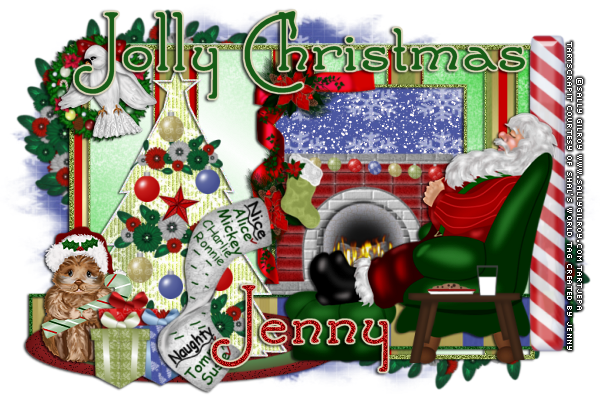 Copy & Paste doodle2 as a new layer, resize to your liking, add drop shadow, place on top of wreath layer. Copy & Paste blings1 as a new layer, resize to your liking, place to the left of the canvas, below framed image. Copy & Paste tree 2 as a new layer, resize to your liking, place to the left of the canvas, one layer up from the blings layer. Copy & Paste tube as a new layer, resize if needed, add drop shadow, place to the left of the frame. Copy & Paste ribbon wrap4 as a new layer, resize 65%, add drop shadow, place on the bottom of the frame under the tube layer. Copy & Paste flower4 as a new layer, resize to your liking, add drop shadow, place at the end of the ribbon wrap on the right side. Copy & Paste callilillies as a new layer, mirror, resize to your liking, place on top of the flower4 layer. Copy & Paste string1 as a new layer, resize 75%, add drop shadow, see my tag for placement. Now copy & paste wordart, resize, add drop shadow. Copy & Paste snowflake of choice as a new layer, resize to your liking and add to the top corner of the frame, add drop shadow. Place ribbon at the top of that. Thank you for trying my tut. I'd love to see your results. Please leave some love in the C-Box! This tutorial was written by Jenny on 12-20-2010. Resemblance to any other tutorial is purely coincidental and unintentional. I am using the artwork of Chrissy Clark. You need a license to use her artwork. I am licensed through MyTagArt. Select Raster 1, new raster layer, select with magic wand, copy & paste paper5 into selection,select none, apply mask. Select Raster 6, selections, select all, float, defloat, copy & Paste paper11 as a new layer, selections, invert, delete, select none, hide original. Select Copy of Raster 6, selections, select all, float, defloat, copy & Paste paper13 as a new layer, selections, invert, delete, select none, hide original. Select Raster 3, selections, select all, float, defloat, copy & paste paper6 as a new layer, selections, invert, delete, select none, hide original. Select Raster 4, selections, select all, float, defloat, copy & paste paper12 as a new layer, selections, invert, delete, select none, hide original. Select Copy of Raster 4, selections, select all, float, defloat, copy & paste paper8 as a new layer, selections, invert, delete, select none, hide original. Select Raster 5, selections, select all,float, defloat, copy & paste paper14 as a new layer, resize 65%, selections, invert, delete, select none, hide original. Repeat on Copy of Raster 5. Select Raster 2, selections, select all, float, defloat, copy & paste paper9 as a new layer, selections, invert, delete, select none, hide original. Copy & Paste frame 7 as a new layer, resize 80%, add drop shadow. Copy & Paste doodle2 as a new layer, resize 85%, add drop shadow, adjust, sharpen, move over to the right a bit, see my tag. Select Raster 8, selections, select all, float, defloat, copy & paste paper11 as a new layer, selections, invert, delete, select none, hide original. Copy & paste poinsettas2 as a new layer, resize 65%, add drop shadow, move over to the right a bit, see my tag. Copy & Paste tree2 as a new layer, place to the left, resize to 85%, add drop shadow. Copy & Paste tag3 as a new layer, resize 65%, add drop shadow, place upward and to the left, see my tag. Copy & Paste tube as a new layer, place to your liking, resize if needed, add drop shadow. I also added the toy bag from the tube, placed close to the chimney, resized and added drop shadow. Then I added the snowflake from the tube, resized, added noise and drop shadow, duplicated and placed throughout the creation. Close copy of raster 8. Copy & Paste banner 1 as a new layer, resize to your liking and place toward the bottom, add a drop shadow. Now you're ready to resize the canvas if you'd like. Add copyright info and text and you're ready to save. Thank you for trying my tutorial. I'd love to see your results. Please leave some love in the C-Box! 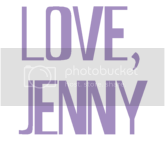 This tutorial was written by Jenny on 12-20-2010. Resemblance to any other tutorial is purely coincidental and unintentional. I am using the artwork of Renee Lavoie. You need a license to use her artwork. I have a license through MyTagArt. New raster layer, select with magic wand, copy & paste pp05 into selection, select none,apply mask350, duplicate, add noise, merge those 2 layers together. New raster layer, flood fill with color of choice, apply mask84, move below the other mask layer. Copy & Paste pp01 as a new layer, resize 65%, add drop shadow, using your preset shape tool, draw a rectangle around the paper with a width of 15, convert to raster layer, add drop shadow and noise, back on paper layer, free rotate 25 degrees left. Copy & Paste bracket as a new layer, resize to your liking, add drop shadow, free rotate 15 degrees right. Copy & Paste flower01 as a new layer, resize 65%, add drop shadow, place upward and to the right. Copy & Paste frame 02 as a new layer, resize to your liking, using your selection tool trace over each square, copy & paste image of choice as a new layer, resize to your liking, selections, invert, delete, select none, apply drop shadow to frame, merge frame and 3 images together only. Open red leaf 01, rotate clockwise 90, copy & paste as a new layer on canvas, free rotate 15 degrees left, add drop shadow, place lower left corner, see my tag. Open glitter branch, rotate counterclockwise 90, copy & Paste as a new layer, add drop shadow, place above red leaf 01. Copy & Paste ribbon01 as a new layer, move down toward red leaf and glitter branch, add drop shadow. 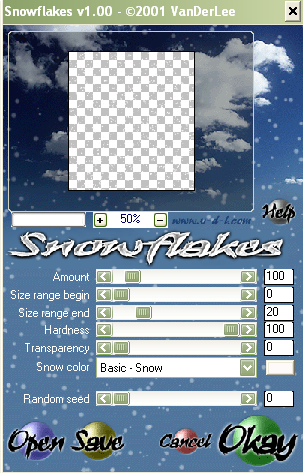 Copy & paste snowflake of choice, resize, add drop shadow, place bottom right corner, duplicate, image, mirror, flip. Copy & Paste foil stars as a new layer, add drop shadow, resize to your liking. Copy & Paste tags as a new layer, place downward with ribbon and such, resize if needed, add drop shadow. Copy & Paste crystal branch as a new layer, resize if needed, add drop shadow, place bottom left with other accessories, see my tag. Copy & Paste red leaf 01 as a new layer again, see my tag. Copy & Paste flower01 as a new layer, again, resize to your liking, place bottom left, see my tag. Resize canvas, add copyright info and text and you're ready to save. Thank you for trying my tut. Please leave some love in my C-Box. This tutorial was written by Jenny on 12-18-2010. Resemblance to any other tutorial is purely coincidental and unintentional. I am using the artwork of Bessie Ho. You need a license to use her artwork. I have a license through MyTagArt. Select Raster 1, new raster layer, select with magic wand, copy & paste Paper9 into selection, apply mask341, duplicate, new raster layer and flood fill with color of choice (I used pink), apply mask302, move below the other 2 mask layers. Copy & Paste scattered foil rings as a new layer. Copy & Paste flower1 as a new layer, resize 50%, add drop shadow, move upward and to the left, duplicate, mirror, flip and bring down just a bit. Copy & Paste Glitter3 as a new layer, dulicate,mirror, flip. Select Raster6, selections, select all, float, defloat, copy & paste Paper4 as a new layer, selections, invert, delete, select none, hide original. Repeat on Copy of Raster 6 using Paper2. Repeat again on the next Copy of Raster 6 using Paper7. Again on the next Copy of Raster 6 using Paper5. Raster 4, using selection tool one at a time select each square, copy & paste each image into each selection, select none. Select Merged, selections, select all, float, defloat, copy & paste Paper8 as a new layer, selections, invert, delete, select none, hide original. Select Raster3, selections, select all, float, defloat, copy & paste Paper12 as a new layer, resize 80%, selections, invert, delete, select none, hide original. Select Raster2, selections, select all, float, defloat, copy & paste Paper6 as a new layer, selections, invert, delete, select none, add drop shadow, hide original. Add drop shadow to Raster7. Copy & Paste snowflakes of choice as a new layer, resize and place to your liking, add drop shadow to each. On Merged layer, selections, select all, float, defloat, new raster layer, flood fill with color of choice, select none, hide original. Copy & Paste tree as a new layer, resize to your liking, add drop shadow, see my tag for placement. Copy & Paste tube as a new layer, place in front of tree, resize if needed, free rotate left 5 degrees, adjust, sharpen, add drop shadow. Copy & Paste Ribbon2 as a new layer, resize to your liking, free rotate left 5 degrees, add drop shadow, see my tag for placement. Copy & Paste bow4 as a new layer, place on ribbon, resize to your liking. Add holly and any other accessories you'd like. Thanks for trying this tut. This tutorial was written by Jenny on 12-17-2010. Resemblance to any other tutorial is purely coincidental and unintentional. I am using the artwork of Ann Howard. You need a license to use her artwork. I have a license through MyTagArt. Select Raster2, new raster layer, select with magic wand, copy & paste pp08 into selection, select none, apply mask, duplicate. Copy & Paste frame 06 as a new layer, resize 90% then 65%, add drop shadow, free rotate right 25 degrees, place upper right corner. Select Raster 5, selections, select all, float, defloat, copy & paste pp15 as a new layer, selections, invert, delete, select none, hide original. Copy & Paste magic overlay as a new layer. Select Raster 4, selections, select all, float, defloat, new raster layer, flood fill with a color of choice, add noise, select none, hide original. Select Merged layer, selections, select all, float, defloat, copy & paste pp06 as a new layer, selections, invert, delete, select none, hide original. On the next Merged layer, repeat same step except use a color of choice and add noise. Copy & Paste tree as a new layer, resize to your liking, add drop shadow, place to the left, see my tag. Copy & Paste snowflake of choice as a new layer, resize 50%, place on bottom circle. Repeat again using a different snowflake and place below one of the frames. On Raster 7, use your selection tool for each one and copy & paste an image of choice 3 different times, resize if needed, selections, invert, delete on each one, select none, hide original. On the next Merged layer, selections, select all, float, defloat, new raster layer, flood fill with color of choice, add noise, select none, hide original. 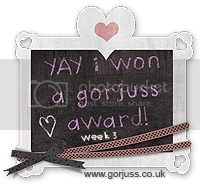 Copy & Paste gift of choice as a new layer, resize if needed, place on top of tree layer, see my tag. Raster 11, selections, select all, float, defloat, copy & paste paper of choice as a new layer, resize if needed, selections, invert, delete, select none, hide original, back to new layer, selections, select all,float, defloat, modify, expand 4, new raster layer, flood fill black, move below, select none, apply noise to black layer and drop shadow of choice. Recolor "Holidays", add noise, selections, select all, float, defloat, new raster layer, modify, expand 2, flood fill with black, select none, move below, add drop shadow. Copy & Paste button of choice as a new layer, resize to your liking, place on large circle to the left. Add holly and bow of choice to the frames, see my tag. Now you're ready to merge visible, resize to your liking, sharpen. Hope you enjoyed this tut. I'd love to see your results. Be sure to leave some love in my C-Box! This tutorial was written by Jenny on 12-17-2010. Resemblance to any other tutorial is purely coincidental and unintentional. I am using the artwork of Ann Gates Fiser. You need a license to use her artwork. I have a license through MyTagArt. 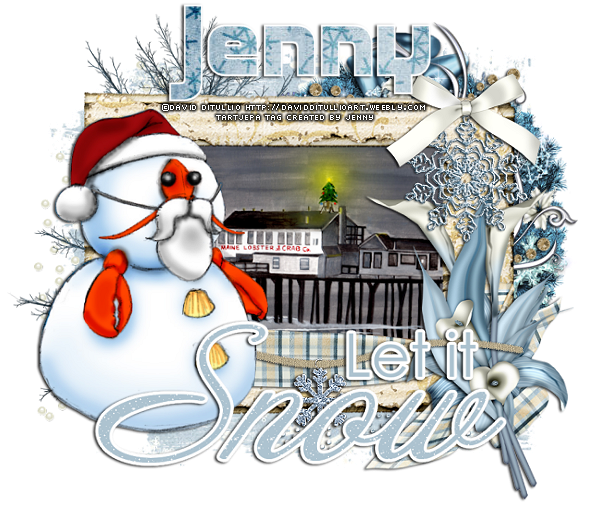 Open template, hide credits, snow, let it snow and let it snow glow, text and text2, unhide background layer, shift d to duplicate, close original. On background layer, new raster layer, select with magic wand, copy & paste paper07 into selection, select none, apply mask, resize 65%, move upward and to the left, duplicate, mirror, merge these 2 layers together only, duplicate, flip. Recolor blue oval, blue rectangle, blue circle and snowflakes to match your supplies. Select Black Oval, selections, select all, float, defloat, copy & paste paper09 as a new layer, selections, invert, delete, select none, hide original. Repeat on black rectangle changing the paper to paper01. Select Black Circle, selections, select all, float, defloat, copy & paste paper08 into selection, select none. Copy & Paste lights1 as a new layer, see my tag for placement. I used the tree tube that was included in one of Ann's tubes purchase and pasted it toward the top of the blue rectangle and duplicated it several times. Copy & Paste bow of choice as a new layer, resize to your liking, add drop shadow, place toward the right of the template, see my tag. Copy & Paste star and any other accessories you'd like to add, resize and place to your liking. Copy & Paste Rainbow Coffi trees as a new layer, resize if needed, see my tag for placement. 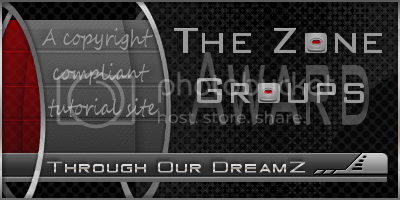 Now add your tubes, resize if needed, add drop shadow and place to your liking. Resize canvas. Add copyright layer and text and you're now ready to save. Thank you for trying my tut. Hope you'll take the time to leave some love in my C-Box. This tutorial was written by Jenny on 12-15-2010. Resemblance to any other tutorial is purely coincidental and unintentional. I am using the artwork of Hannah Lynn. You need a license to use her artwork. I am licensed through MyTagArt. Select background layer, new raster layer, select with magic wand, copy & paste Paper2 into selection, select none, apply mask, duplicate. Open xmas wreath, resize 60%, copy & paste as a new layer, add drop shadow. Select circle layer, selections, select all, float, defloat, Copy & Paste Paper3 as a new layer, resize 75%, selections, invert, delete, select none, hide original. Recolor difused background to match and move it below the new circle layer. Select back, selections, select all, float, defloat, new raster layer, flood fill with a gradient made from a dark and light color from your supplies, select none, hide original. Recolor dotted frame to match. Select back, selections, select all, float, defloat, copy & paste Paper4 as a new layer, resize 75%, selections, invert, delete, select none, hide original. Select frame, selections, select all, float, defloat, new raster layer, flood fill with gradient, select none, apply noise, add drop shadow, hide original. Copy & Paste present4 as a new layer, resize 50% twice, add drop shadow, place upper left side of canvas next to tube. Copy & Paste hollyberry as a new layer, resize to your liking, place to the bottom right of the wordart (see my tag). Recolor the holly that came with the template to match your supplies. Copy & Paste ornament9 as a new layer, resize to your liking, free rotate 12 degrees right, sharpen, add drop shadow, hang from the frame. Copy & Paste bow13 as a new layer, resize and place to your liking, add drop shadow. Copy & Paste present1 as a new layer, resize 50% twice, add drop shadow, place next to the wordart, see my tag. 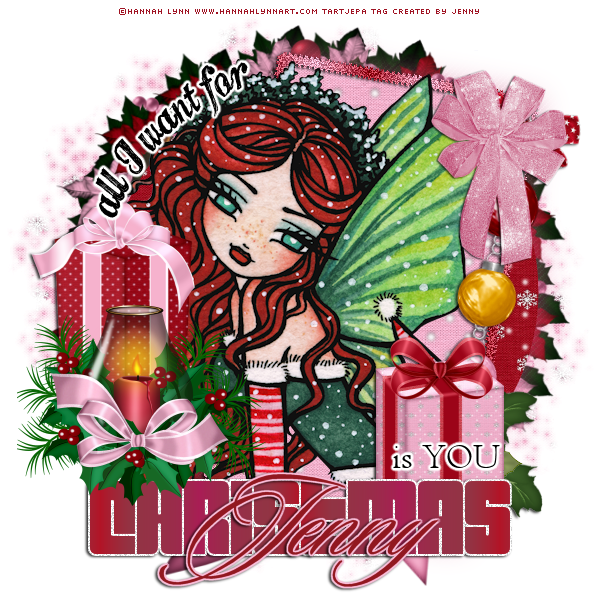 Recolor x-mas wordart to match, selections, select all, float, defloat, selections, modify 2, new raster layer, flood fill with white, move below, select none, add noise and drop shadow. Add a gradient glow to the other wordart if you'd like. If you don't have gradient glow then you can get the same effect by following the step above. Copy & Paste lantern as a new layer, resize to your liking, place above wordart and to the left, see my tag. Hope you enjoyed this tut. I'd love to see your results. Don't forget to leave some love in the C-Box. This tutorial was written by Jenny on 12-12-2010. Resemblance to any other tutorial is purely coincidental and unintentional. I am using the artwork of Sally Gilroy. You need a license to use her artwork. I have a license through MyTagArt. This tut allows for animation although the preview is not animated. Select bkg and flood fill white, new raster layer, select with magic wand, copy & paste Paper 3 into selection, select none, apply mask. Select MainFill, select each dark color with magic wand, copy & paste Paper 14 as a new layer, selections, invert, delete, select none. Use the change to target brush to recolor the rest. Select main outline, selections, select all, float, defloat, copy & paste Paper 17 as a new layer, resize 110, selections, invert, delete, select none, hide original, back on new layer, apply noise and drop shadow of choice. Select BlindFill, selections, select all, float, defloat, copy & paste Paper 16 as a new layer, resize 120, selections, invert, delete,hide original. Select Rectoutline, selections, select all, float, defloat, new raster layer, flood fill with color of choice, select none, apply noise, drop shadow, hide original. Select treefill, selections, select all, float, defloat, copy & paste Paper 5 as a new layer, selections, invert, delete, select none, hide original. Add drop shadow to treeoutline. 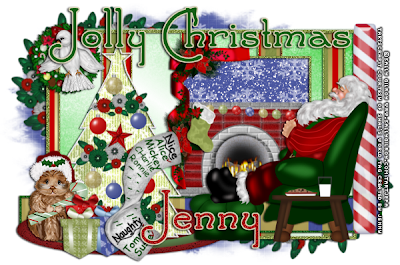 Copy & Paste tube of choice as a new layer, resize if needed, add drop shadow, place to the right as I did Santa. I'm using several different tubes from the same artist so go ahead and add those if you're doing the same and arrange to your liking. Add decorations to the tree. Copy & Paste Ribbon Wrap as a new layer, resize 50% and adorn the window area with it, add drop shadow. Copy & Paste string of bulbs and adorn the window or fireplace with them, deleting the ends so they don't hang over. Copy & Paste stocking of choice as a new layer, resize to your liking and hang on the fireplace or window scene. Copy & Paste presents of choice as a new layer, resizing as needed and arrange beneath the tree. Copy & Paste Peppermint Stick as a new layer, place behind your main tube (see my tag). Using a flower arrangement of choice, copy & paste as a new layer, resize to your liking, apply MuRa's Meister Copies encircle with default settings, place above mask layer, top left corner, resize 75%, duplicate, mirror, flip, use your selection tool to select inside the window and delete both layers of arrangements that may be sticking through, select none. If you do not plan to animate then now is the time to resize the canvas, add copyright info and text and then you're ready to save. Resize your canvas, do NOT merge any of the layers, add copyright layer, go back and sharpen any tube layers that may need it. Thank you for trying my tutorial. I'd love to see your results. Please leave some love in my C-Box. This tutorial was written by Jenny on 12-7-2010. Resemblance to any other tutorial is purely coincidental and unintentional. I am using the artwork of Terra Bidlespacher. You need a license to use her artwork. I am licensed to her artwork through MyTagArt. You can now purchase her tubes through MyTubedArt. Flood fill Raster1 with white. New raster layer, select with magic wand, copy & paste Paper10 into selection, select none, apply mask. Copy & Paste foliage4 as a new layer, place to the left (see my tag), duplicate, image, mirror. Select Pink Rectangle 1, selections, select all, float, defloat, copy & paste Paper6 as a new layer, resize 80%, selections, invert, delete, select none, hide original. Select Pink Rectangle 2, selections, select all, float, defloat, copy & paste Paper6 again as a new layer, selections, invert, delete, select none, hide original. Select Pink Heart, selections, select all, float, defloat, copy & paste Paper8 as a new layer, selections, invert, delete, select none, hide original. Select SM Pink Heart 1, selections, select all, float, defloat, copy & paste Paper14 as a new layer, resize 50%, selections, invert, delete, select none, hide original. Copy & Paste llex2 as a new layer, add drop shadow, place to the right (see my tag). Select SM Pink Heart 2, selections, select all, float, defloat, copy & paste Paper16 as a new layer, resize 50%, selections, invert, delete, select none, hide original. Copy & Paste Folded Bow 3 as a new layer, resize 80%, add drop shadow, see my tag for placement. On snowflake 4 and 3, add noise. Copy & Paste Santa Hat as a new layer, resize to your liking, add drop shadow, free rotate 35 degrees right (see my tag). On snowflake 2 and 1, add noise. On the naughty and nice words, selections, select all, float, defloat, new raster layer, flood fill each with a different color of choice that matches, select none, hide original. Add drop shadow to the glitter text below each then merge each layer with it's glitter back. Copy & Paste snowangel as a new layer, resize to your liking and place top left, add drop shadow. Copy & Paste signpost as a new layer, resize 65%, add drop shadow, see my tag for placement. Copy & Paste candy as a new layer, resize to your liking, duplicate twice and resize both a bit smaller, arrange to your liking. Copy & Paste tube as a new layer, resize if needed, duplicate, on original, adjust, blur, 3.00, back on copy, right click, properties, change to overlay, add drop shadow to original. Move naughty and nice word art above the tube layers. Resize canvas. Add copyright info and text. Now you're ready to save. Thanks for trying my tut. I'd love to see your results. Please leave some love in my C-Box. This tutorial was written by Jenny on 12-7-2010. Resemblance to any other tutorial is purely coincidental and unintentional. I am using the artwork of Valarie Wade. You need a license to use her artwork. I have a license through MyTagArt. Open template, hide credits, wordart and candy canes, shift d to duplicate, close original. Raster 1 flood fill white. red oval 1 and red oval 2 recolor each to match your supplies. Select red rectangle, selections, select all, float, defloat, copy & paste Paper15 as a new layer, resize 50%, selections, invert, delete, select none, hide original. Select white frame lrg, selections, select all, float, defloat, new raster layer, flood fill with a matching color, select none, add noise, hide original. Copy & Paste glitter as a new layer, resize to your liking, place to the left, duplicate, image, mirror, flip. Copy & Paste image as a new layer, resize to your liking, free rotate 40 degrees right, more if needed, select the white background layer, selections, select all, float, defloat, selections, invert, delete on image layer, select none, hide original, duplicate image, mirror, move up on the other white background layer, back to the other, duplicate again, on 1st image, adjust, blur, gaussion blur 2, right click on duplicate layer, properties, soft light. Repeat on the other image, changing properties to overlay instead. I also added some texture to both. Copy & Paste Pine Branch as a new layer, resize 50%, see my tag for placement. Copy & Paste tube as a new layer, resize if needed, place to your liking. Copy & Paste Christmas Tree as a new layer, resize to your liking, place close to the tube. Copy & Paste bow3 as a new layer, resize to your liking, see my tag for placement. 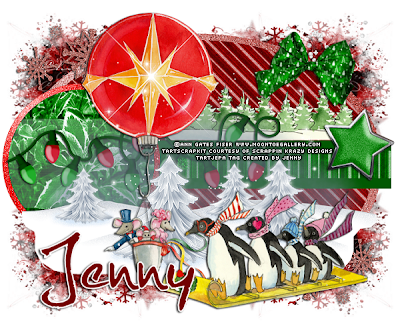 Copy & Paste iciclelight as a new layer, resize to your liking, add drop shadow, see my tag. Copy & Paste present as a new layer, resize 50% then again 80%, add drop shadow, place to the left, see my tag if needed. Copy & Paste sparkle as a new layer. Copy & Paste biscuit as a new layer, resize to your liking, place close to the present. Resize canvas, add copyright info and text and you're now ready to save. Thank you for trying my tutorial. I'd love to see your results. Please be sure to leave some love in the C-Box. This tutorial was written by Jenny on 12-4-2010. Resemblance to any other tutorial is purely coincidental and unintentional. I am using the artwork of Sherri Baldy. You need a license to use her artwork. I am licensed through MyTagArt. Open template, hide credits and word art, shift d to duplicate, close original. Unhide background layer, new raster layer, select with magic wand, copy & paste pp18 into selection, select none, apply mask. Select Raster1 (stars) recolor to match supplies. Select Raster2, selections, select all, float, defloat, copy & paste pp2 as a new layer, selections, invert, delete, select none, hide original, selections, select all, float, defloat, modify, expand 2, new raster layer, flood fill with matching color of choice, select none, apply noise, move below, add drop shadow. Duplicate both of these layers and mirror then close the opposite side so that these replace those. Same idea with Raster3 changing the paper to pp7. Select raster6, selections, select all, float, defloat, copy & paste pp1 as a new layer, selections, invert, delete,select none, hide original. Copy & Paste el35 (Christmas tree) as a new layer, resize to your liking. Copy & Paste el51 as a new layer, resize to your liking and place to the left. Copy & Paste el47 as a new layer, resize 50%, add drop shadow, duplicate, mirror, see my tag for placement. Copy & Paste el38 (stars) as a new layer, resize to your liking and place ontop of Raster10, use your selection tool to remove excess from top, add drop shadow. Copy & Paste el28 (ribbon) as a new layer, resize to your liking, add drop shadow, see my tag for placement. Copy & Paste el20 (candles) as a new layer, add drop shadow, resize to your liking, place to the left. Copy & Paste tube as a new layer and place to the right, resize if needed and add drop shadow of choice. I also select random areas of the tube and added some noise. Copy & Paste el41 (pink twinkle) as a new layer, resize and place to your liking. Add copyrights and text and you're now ready to save. Thank you for trying my tut. I hope you enjoyed it. Please leave some love in the C-Box. This tutorial was written by Jenny on 12-4-2010. Resemblance to any other tutorial is purely coincidental and unintentional. I am using the artwork of Vicki Visconti-Tilley. You need a license to use her artwork. I have a license through MyTagArt. Open template, close credits and wordart, shift d to duplicate, close original. Add new raster layer, flood fill white, move to bottom. Add new raster layer, select with magic wand, open paper03, resize 600 x 600, copy & paste into selection, select none, apply mask. Open element 29, resize 500 on the longest side, copy & paste as a new layer, place top left corner, add drop shadow of choice. Open element22, copy & paste as a new layer, resize 50% twice, place to the left, duplicate,mirror,flip. Select square shadow, selections, select all, float, defloat, copy & paste paper04 into selection, select none. Select white rounds, selections, select all, float, defloat, copy & paste paper07 as a new layer, resize to your liking, selections, invert, delete, select none, hide original. Back on original white round layer. Copy & Paste element57 (purple flower) as a new layer, resize 50%, place top right corner, duplicate,mirror, flip. Open element60 resize 500 on the longest side, copy & paste as a new layer, resize 65%, placing above the first flower, duplicate, mirror, flip. Back on new white round layer. On the round layer, change the color to match the supplies you're using. Copy & Paste element 18 as a new layer, place to the right, resize 50% x's 3. On the square layers that follow simply one each time and selections, select all, float, defloat, copy & paste a paper of choice each time, resize, selections, invert, delete, select none, hide the original. Then on the frame squares simply change the colors to match. Copy & Paste element24 (christmas tree) as a new layer, resize 50%, see my tag for placement. Copy & Paste element56 (purple flower) as a new layer, resize to your liking, see my tag. Copy & Paste element42 as a new layer, mirror, resize to your liking, place to the left of the canvas. Copy & Paste tube as a new layer, resize to your liking, see my tag for placement, add drop shadow. Copy & paste element38 as a new layer, resize 50% then again by 65%, see my tag for placement, add drop shadow. Copy & Paste element54 as a new layer, resize to fit on the above layer. Add bows, resizing to your liking, add drop shadow. Thank you for trying my tut. I hope you enjoyed it. I'd love it if you'd stop by my C-Box and leave some love. It does a heart good!